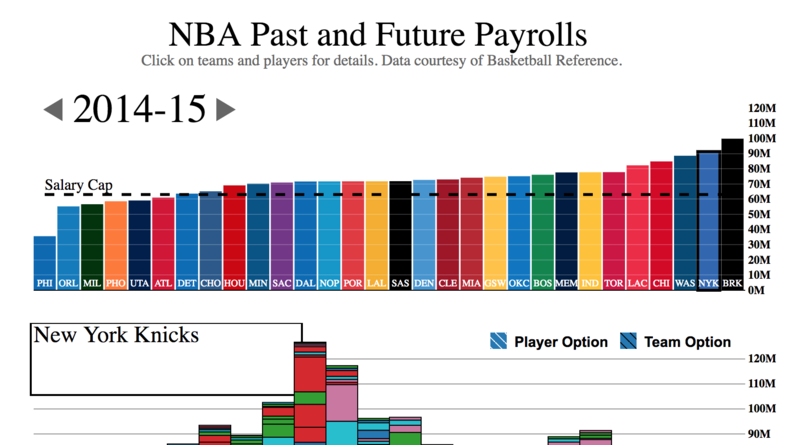 I put together NBA Rotations in order to explore how NBA coahes differ in their substitution patterns. You can quickly get a sketch of a player's entire career through the years or compare two different teams in a single season. I had this page automatically updating for the 2017-18 season. 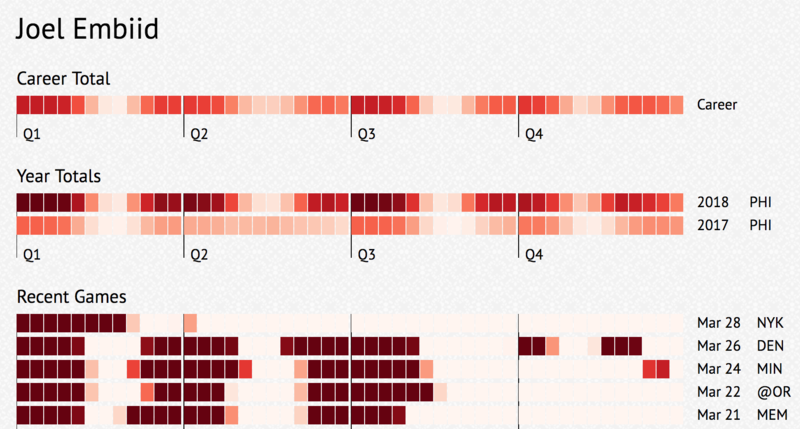 This site was my first attempt to use D3.js to show anything at all. It got a lot of attention from places like Fangraphs and Deadspin. The last update was in 2016. Perhaps at some point I'll redesign the graphic and set this page up for automatic updates. 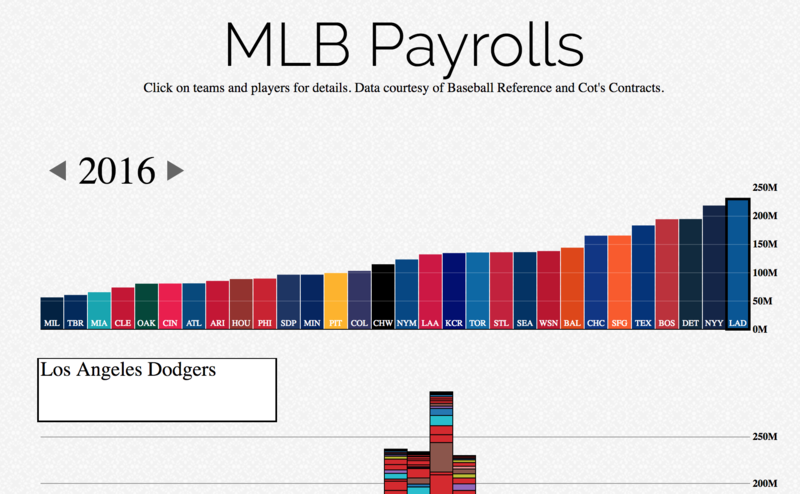 I quickly copied the MLB visualization over to the NBA. This has not been updated since 2015. 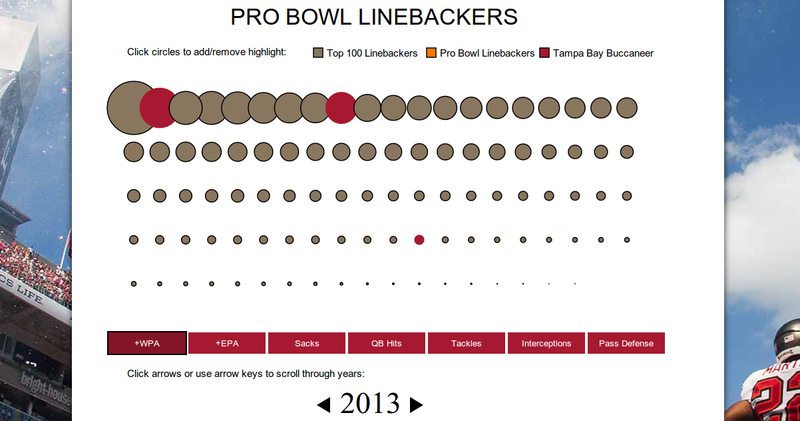 The Buccaneers reached out after seeing the MLB Payrolls graphic. 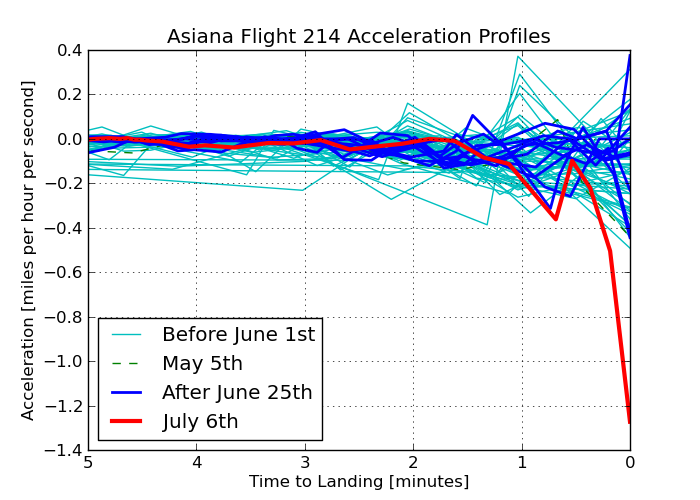 As a freelancer, I was able to put together four data visualizations for them under a new "Data Crunch" series they were starting. This was especially fun to do. 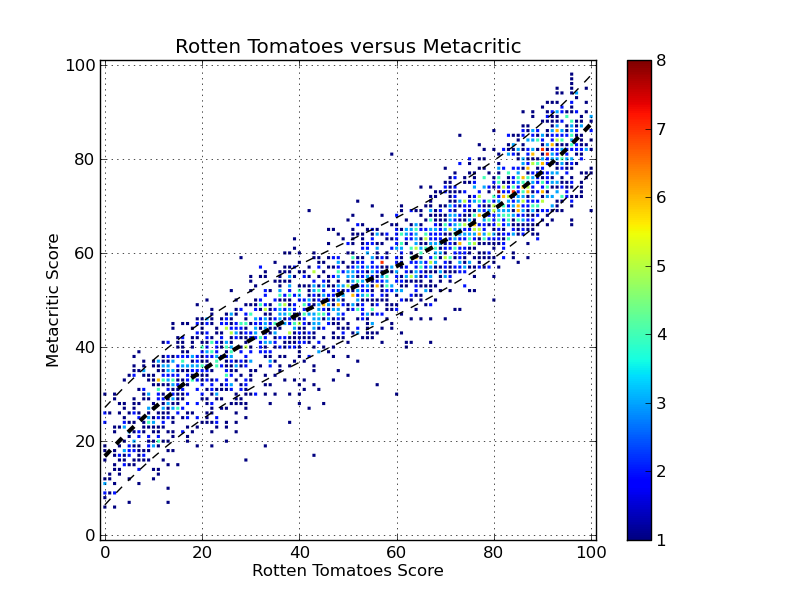 I created some cool plots for old blog posts I put together. 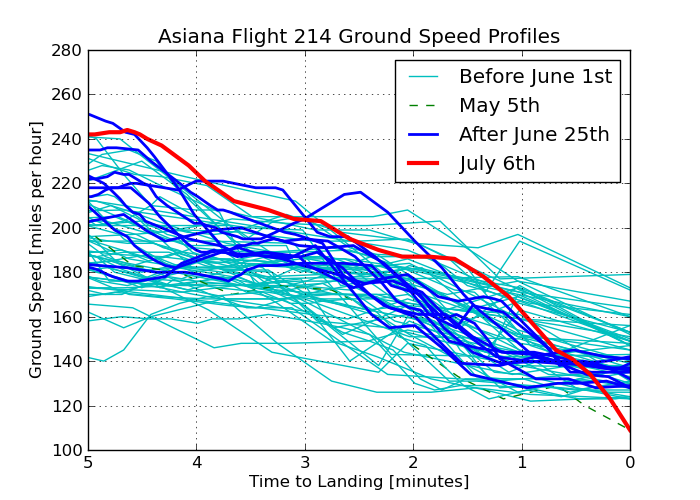 The Asiana Flight 214 plots were picked up by Business Insider.